HARMAN leads the world in the design and manufacture of professional lighting, control, automation, microphones and audiovisual equipment. Harman is the parent company of brands like AMX, SVSI, AKG, Soundcraft, Studer, dbx, BSS, Lexicon, Crown, JBL and Martin – together, HARMAN provides solutions for Fortune 100 companies, top universities, concert halls, stadiums, hotels, and broadcast facilities around the world. 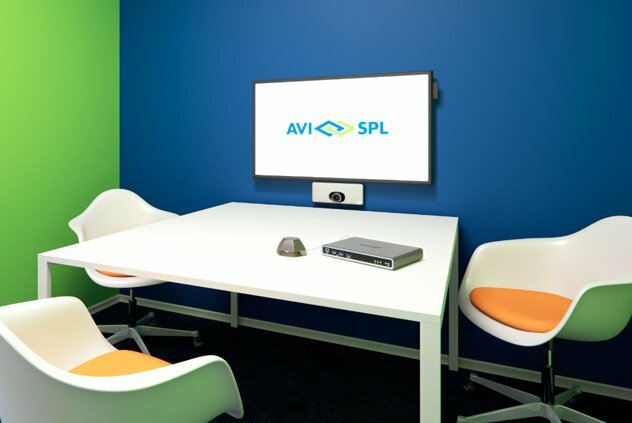 As the world’s largest and most trusted AV integrator, AVI-SPL partners with innovative visual collaboration technology manufacturers—like Harman—to give you access to the most advanced, secure, and effective sound, control, collaboration, and lighting solutions. Today’s average workspace is little more than 190 square feet per person, and is expected to shrink to a mere 60 square feet in the next 5 years. For this reason, optimization of space is a primary concern for facility managers. The need for quick collaboration in huddle spaces is necessary in corporate environments – from small scale start-ups to global conglomerates—the ability to collaborate makes for more productive, happier employees. Find out how the Acendo family of solutions creates an environment where collaboration is easy and makes working together productive and enjoyable, rather than an exercise in frustration. JBL speakers in the training room and larger conference rooms deliver sound from the input plate sources, microphones, and video playback signage. BSS Audio digital signal processors ensure that the audio is excellent throughout this performing arts venue. AVI-SPL and HARMAN work together to create flexible, easy to use audio, video, lighting and control solutions for a wide variety of organizations and venues. From the smallest huddle room to the largest stadium, AVI-SPL and HARMAN have the optimal solution to fulfill your needs. Below you’ll find but a sample of the various solutions and venues AVI-SPL and HARMAN can provide. Transform your workspaces to create human-centric experiences from the smallest huddle space to the most complex corporate boardroom. Enable teams to share ideas and work on projects at the same time.